The celebration of national days emphasizes nationalism and brings the division of the country more into the spotlight. They are wearing army coloured clothes, black berets and you can see the elderly years in most of the diffracted backs. Despite this they shine with the honour and pride of their country while carrying their national flag. Every year on the 1st of April, the start of the movement against the British occupation rule and the eventual independence in 1960 is celebrated by Greek Cypriots. While the veterans carry their Greek Cypriot flag and the orchestra plays the national anthem, it is clear as daylight that this day also emphasizes the Greek Cypriot identity and culture. In this way the celebration of national days makes the divide in Cyprus extra visible and thereby it could be a stumbling block in the reunification of the island nowadays. 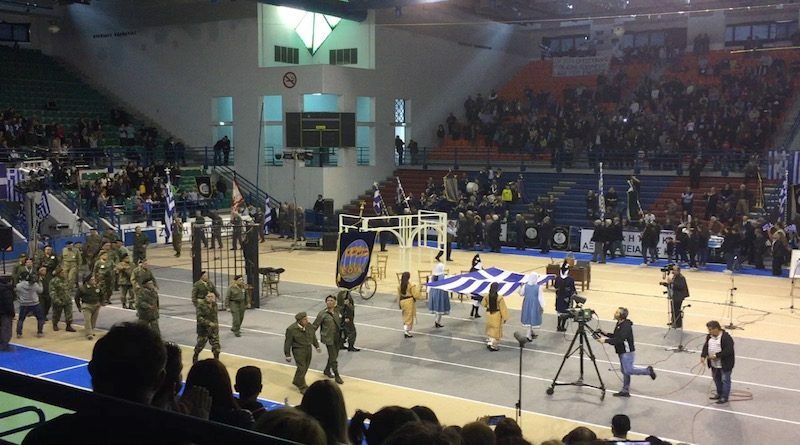 The video below gives an impression of the national celebration of the EOKA. The Turkish Cypriot side in the North and the Greek Cypriot side in the South celebrate their national days with gusto and a lot of pride. According to Board Press Officer of the Association for Historical Dialogue and Research, Evren Inançoğlu, these national days work in conflict with each other. “Each time a part of the island celebrates a national day, the other side gets offended, which we can understand. On the 1st of April some of the Greek Cypriots celebrate freedom, but according to the Turkish Cypriots the old evil ruled. Nevertheless, the Turkish Cypriots celebrate the 20th of July, when Turkey invaded in 1974, but the Greek Cypriots say: “This is occupation”. So such days do conflict with each other. Nevertheless, just like the Greek Cypriots, the Turkish Cypriots have their own national days, so consequently, there are similar celebrations on the Turkish side as well”, Evren Inançoğlu said. Currently national celebrations still play a role in the reunification of the island. 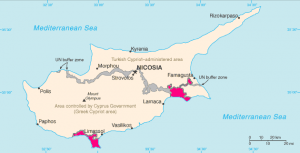 In February the Greek Cypriot leader Nicos Anastasiades and the Turkish Cypriot leader Mustafa Akinci stopped talking about the reunification of the island because they didn’t agree on the celebration of Enosis, ‘the historical aim to unify the island of Cyprus with Greece’. Inançoğlu also said that both parts of the island already celebrated their own national days and that in the beginning of the reunification talk nobody really cared about these days. After the Turkish Cypriot elections last year, people from both sides had high hopes and thought of a new momentum and that this would be the right time for the reunification. 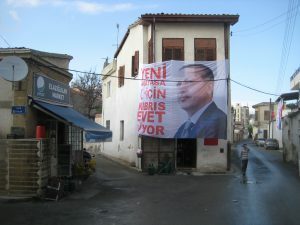 According to Inançoğlu and the Turkish perspective, the new Turkish Cypriot President took the initiative to start with the talks. For a while the talks went well and people were positive and thought that the reunification would be settled and done by the end of 2016. Separate from some other minor issues, the Greek Cypriot Parliament passed a law that there should be another extra commemoration for Enosis. The Greek Cypriots however, shocked, angered and surprised the Turkish Cypriots by passing this law. When this law passed the Greek Cypriot Parliament it blew the idea of the reunification and all time and effort seemed to be wrecked for months. Inançoğlu explained that the Turkish Cypriot leader got furious and emphasized how they are trying to negotiate, find a solution to the problem, how they are speaking about confidence building measures and that accepting this law is against that. This is the point where the negotiation talks turned into a crisis and where the talks were suspended. Nevertheless, according to news website ‘UN Cyprus Talks’ and ‘Cyprus Mail’, the two leaders are currently talking again, after a two months break. Chairman of the “Council of Historical Memory of EOKA’s Struggle 1955-1959”, Andreas Maïmarides, explains that the celebration on the 1st of April is still important to remember because of the national character of the culture of Greece (Hellenism). “People today remain faithful to these roots of language and religion. This triggered thousands of deaths of people who fought against the conquerors who were present in Cyprus.” Maïmarides also adds that the celebration of the anniversary of EOKA connects the past with the future of Hellenism and commits the moral support of the Greek people to remain throughout the centuries, just like their grandparents before them. The fact that this national celebration is high on the list of importance, is also emphasized by the attendance of President Nicos Anastasiades, the leader of the Republic of Cyprus and many other officials. One could consider the celebration on the 1st of April as controversial. Economist and social scientist, George Koumoullis, wrote in the Cyprus Mail: “The celebration constitutes a paradox to christen the struggle for the union with Greece as a struggle for “liberation”. Koumoullis words describe that if the Greek Cypriots wanted freedom, it would be rather ambivalent to unify with Greece. This because in Greece there was no freedom of speech, thought, expression or action for the reason that dictatorial or fascist governments ruled the country most of that time. Nowadays when nationalism rises, it often includes the celebration of national days, it emphasizes the countries’ own culture, language, anthem and history. In Cyprus both parts of the island (North: Turkish Cypriots, South: Greek Cypriots) see this phenomenon but different from each other. The separation of the island nowadays finds her origin in a pattern, which was invented and set up by the British. 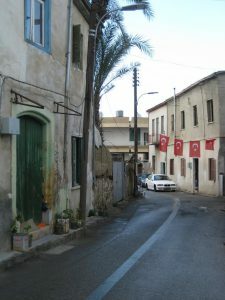 Politics and International Studies Doctor, Zenonas Tziarras, argues that through the policy of divide and rule the British managed to separate the two communities of the island of Cyprus. In those days the two population of the island were called the Muslim and the Christian Cypriots and not the Greek and Turkish Cypriots. Also advocate Renos Lyssiotis, who was strongly involved in the EOKA struggle as leader of the youth group in Nicosia, said that it was the British who separated the island during the struggle for independence. “We can live together; the Turkish Cypriots and the Greek Cypriots as we lived together before, but the British separated us. This because when they found out that they couldn’t win over the EOKA, they solved the issue by dividing the island between the two societies. If the celebration of national days makes the divide of the island of Cyprus extra visible, wouldn’t it help not to celebrate these kinds of days anymore?